Carp fisherman know, that the key to consistently catching good carp, is skill. Carp are shy creatures, at least in the wild, and they require finesse to catch. Because of this, many new carp fishermen become disheartened. They have watched their peers catch carp day after day (or night after night) but blank on almost every trip. They just don’t have the carp fishing skills that the long term carp fishermen do. So we are going to give some carp fishing tips, to hopefully help these people out. Many newcomers to carp fishing make the mistake of thinking they just need to buy a pair of matching carp rods, a couple of baitrunner reels, and rod pod and they are good to go anywhere. This could not be further from the truth. You will need different carp rods for different venues. For example, if you are fishing a large lake, or reservoir, and you need to cast heavy weights long distance, you need a long, powerful rod with full or progressive action. Something like the Daiwa Mission X Carp Rod. 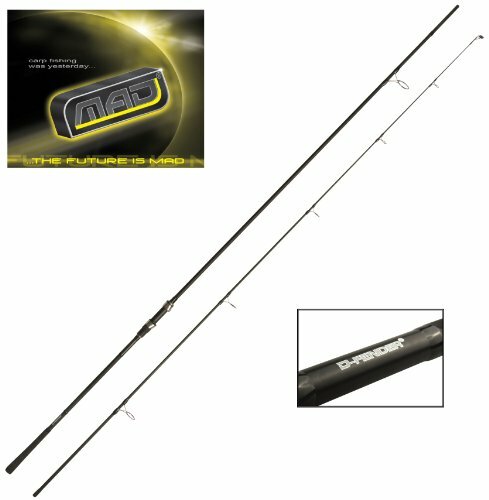 This rod would do two things for your long range carp fishing. It would enable you to launch your terminal rig 60 yards or more easily, and more importantly, accurately. The 12 foot length also helps you with playing large, powerful fish at range. In fact, this rod with its 3lb test curve was pretty much made for this type of carp fishing. On the other hand, if you are fishing a smaller venue, a small pond, close in with many snags, this rod is going to be a hindrance not a help. In this situation you need a shorter, stiffer rod that allows you to cast very accurately close in, potentially even using an underhand cast. A shorter rod will also let you pile on more power and control to close in fish. A bankside carp run is something entirely different from a 60 yard away carp run. The KastKing Ranger Portable Telescopic Fishing Rod would be a good choice in this situation. When you hook a big carp, close to the bank, it’s going to take off like a freight train for the nearest snag. This short, powerful rod with a progressive action will help you put on the brakes. The next of our carp fishing tips concerns rod preservation. Carp are very powerful fish. Also, depending upon where you are fishing, you always have the chance of hooking other species, like catfish, which are even more powerful. What do you think happens if you happen to be off taking a quick bio break, and a 40lb catfish makes off with your bait? Well, you will probably come back to an empty rod pod, as your expensive carp rod is now somewhere out in the lake, being towed around by an angry catfish. Unless you are using a baitrunner/freespool reel. The best of these is the classic Shimano Baitrunner. The modern models, such as the Shimano BTR4000OC Baitrunner are the go-to reel in this situation. By using a baitrunner, and setting the secondary drag so that the spool spins freely when a fish runs with the bait, then your rod is never going to get dragged in to the drink. Carp might seem like big, robust fish, but they are quire fragile regardless of their size. Specifically, it can be very easy to scrape off the scales, which can lead to an infection. Always use an unhooking mat, this is probably one of the most important carp fishing tips actually. Always wet the unhooking mat before placing carp on it. Even better, is to use a carp bed like the JRC Extreme Tapis. This is specifically designed to hold carp (and other large fish) off the ground, so they are not squashed under their own weight. Remember, fish live in water, they don’t feel all of their weight. On land, they are easily injured even by just letting them lay on the ground. Another of our carp fishing tips designed to help protect the fish. Always use barbless hooks. Many carp fisheries now make this a rule, but even if they don’t then you should still use barbless hooks. Something like the Mustad Classic Barbless Special Long Shank makes an excellent hook for carp fishing. They are tempered using Mustad’s patented method, and are around 20% stronger than normal hooks. Carp fishing takes patience. It is probably the least active type of fishing around, as you will be leaving your bait in the water sometimes for several hours. This means that you are not moving around, and you won’t be generating too much additional body heat. So buy something like this Fishing Shelter to keep you warm. This is a much better idea than using a fishing umbrella, as it can shelter you from the wind as well as rain. Add a pack of HotHands Hand Warmers 10 Pair Value Pack to your tackle box to help warm you up if you are chilled/wet after landing a fish. Whilst on the subject of comfort whilst carp fishing, MREs (Meals Ready-to-Eat) are great for providing sustenance on extended fishing excursions. They are light and easy to carry, and don’t need to be cooked. There are a few items of equipment that experience carp fishermen will keep in their tackle box, which newbies might not realize they need. A good example of this is a good set of binoculars such as Ohuhu® Lightweight & Durable Adjustable Mini 30x60 Folding Zoom Binoculars. These are used for “carp spotting”, the process of scanning the lake/river for the telltale signs of carp feeding. Many experienced carp fisherman will also carry a barometer. Carp are very sensitive to changes in air pressure. Carp feed on the top, and on the bottom, and knowing what changes in air pressure are going to move them from the top of the water to the bottom, is valuable knowledge. A simple handheld barometer such as the Trac Outdoor T3002 Fishing Barometer is perfectly adequate for this. That’s the last of our carp fishing tips, we hope they have been of some use to you, and we wish you all the best, and tight lines on your next carp fishing adventure!